Only Instand® offers you so much display versatility. 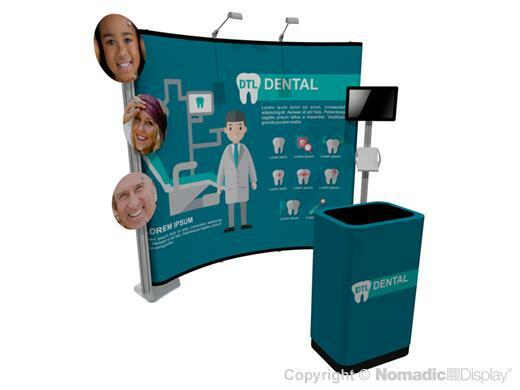 This trade show display design uses Mini Foundation to add dimensional signage and an A/V workstation to your brilliant trade show graphics to form a power packed presentation. 2 - ShowMate Case - 37" x 10" x 22"